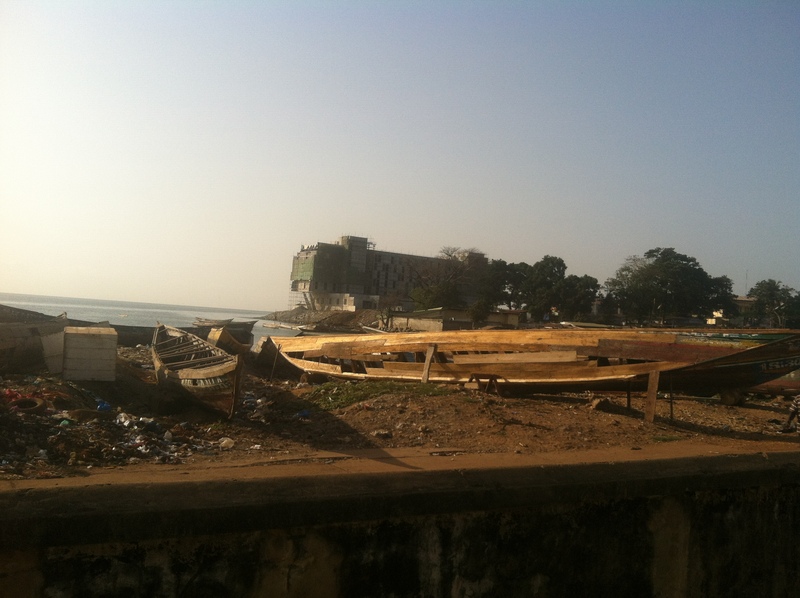 Conakry, the capital of Guinea, in West Africa, is on a very narrow peninsula projecting out into the Atlantic. I was there all this week. You can’t really drive from one part of the city to another without seeing a glimpse of water, and my commute from my hotel to the office was no exception. The driver weaved in and out of the hordes of uniformed kids walking to school, vendors selling soap, people burning trash, and then, boom, la mer. It nearly reaches the road in some protected areas when the tide is high. After Christmas, we packaged up the remains of the rib roast with horseradish cream, the mashed potato casserole, the creamed kale; stuck the house keys and car keys in someone else’s hand (along with instructions for chicken and duck care and keeping); and got on a plane. You are currently viewing the archives for January, 2014 at The Yellow House.